Fall 2018 Update: New Website! upcsjsu.org head over and check it out! Congrats to the UPC's very own Mike Jacobson! We are camping at New Brighton State Beach just up the cliff from where we will be spending the day. For those planning to stay the night, the UPC has decided to ask for $5 per person to help cover the cost of the two extra meals. It will be happening on Saturday, 4/25 and we will have four campsites reserved at the beach for that evening. Checkout is 4/26 at 11am. Please contact Justin Giarrita, j.giarritta@gmail.com, for more details. Overview of Theme: This year, the Urban Planning Coalition (UPC) at San José State is hosting a symposium that will look at how Millennials and Baby Boomers, as two key demographic groups, are affecting growth and change in the Bay Area. Recently released research from the Pew Research Center, AARP, and the American Planning Association reveals that the recent recession and changing political landscape have shaped these generations with distinct living preferences and perceptions of place. “boomerang kids.” Baby Boomers, on the other hand, have their own living preferences; in general, boomers want to abscond the current model of cookie cutter retirement communities to either age-in-place or relocate to an urban center. Given these trends, the bigger question for urban planners, land use professionals, and community advocates remains—how should we design places with these two demographics’ values in mind? -The event lasts the entire day so come whenever you like and stay as long as you like. A couple of the Beach Day organizers will arrive at the beach by 8 am at the picnic area. -If you are a member of the MUP Facebook Page expect to receive an invitation to the event soon for more specific information. -Please contact Marco Arguelles @ marcoarguelles21@gmail.com if you have any questions relating to the event such as what food to bring, directions, and any other information. Also please call Marco if you have trouble finding the group the day of the event at 303-250-4003. · Can you drive or do you need a ride? · If you can drive, how many other passengers can you take (excluding you)? Saturday, April 19th, from 10am-3pm, the UPC will be hosting our annual Skills Workshop in the Department of Urban Planning lounge at San Jose State. Topics include site plan reading, code interpretation, and counter skills. The event is free and lunch will be provided. CEQA Basics Workshops now open for registration! Student members $15, Student Non-members $30! Online registration is now open for the CEQA Fall Basics Workshops! The workshops are conveniently held around the state to accommodate your busy schedule. Cost for early registration is only $125 for members which includes Workshop materials, Continental Breakfast, Lunch and Break. Early registration deadline is October 14th. After October 14th there will be a cost increase. This is an all-day program from 8:30 am – 5:00 pm. Please click here for full schedule: Attendees can pay by check or credit card online. The program features a curriculum developed specifically for people involved in the environmental review process. Workshops topics will include: The Statute and Guidelines; Exemption, Negative Declarations and EIR’s; Trustee agencies; Findings; Notices; Legal Challenges & Defensibility and Projects also subject to NEPA. AICP and MCLE are pending approval. 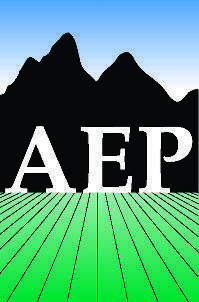 Please go to www.califaep.org and click on the CEQA Fall Basics Workshops link on the home page. We look forward to seeing you at one of these very information workshops. Register for the 83rd Annual CCPCA Conference! Register for the 2013 Fall Symposium! Introducing the New 2013-2014 UPC Executive Board! Congratulations to the Urban Planning Coalition 2013-2014 Board! We look forward to your upcoming success! UPC Beach Day is May 4th! Tired of tanning in the lab? Come out and soak in the sunlight with the UPC. All URBP faculty, staff, and students (alumni and current) are welcome to join! Feel free to bring family and friends as well. Feel free to come anytime between 8am and 5pm. Some food will be provided around lunch time and feel free to bring your own as well. We also welcome potluck contributions if you would like to prepare something to share with others. We will provide the charcoal for grilling at the picnic area. Dogs are allowed on leash. There is a day-use fee for parking so we strongly suggest carpooling. Looking to Carpool? Sign up here. SJSU ranks 8th in Top Programs Without PhD and 1st in Most Diverse Student Body! A special thanks to California Polytechnic State University, San Luis Obispo City & Regional Planning Program for sharing this. For more ULI events please check out our ULI Events page. For more events updates please check out our UPC Calendar page.